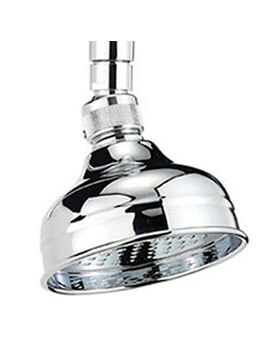 For experiencing refreshing and joyous showering moments, install this Tre Mercati Traditional Concealed 2 Way Diverter Shower Valve with Shower Set. 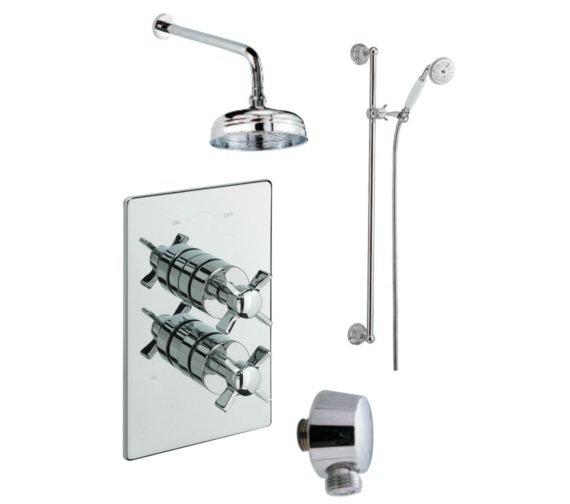 This stylish pack includes two way diverter shower valve, sliding rail kit, wall outlet and overhead arm and rose, and is manufactured to the highest quality standards from high quality material. 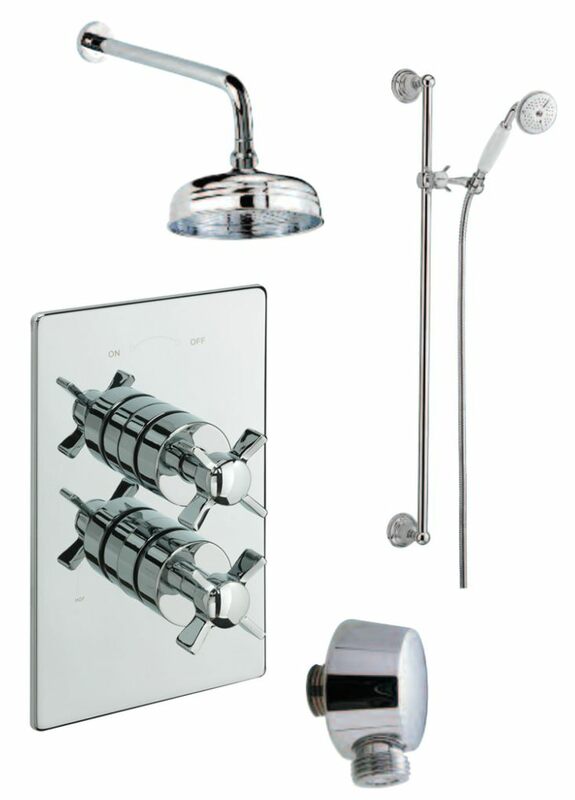 For ensuring your peace of mind, this aqua unit comes with ten year manufacturer guarantee against any manufacturing faults. 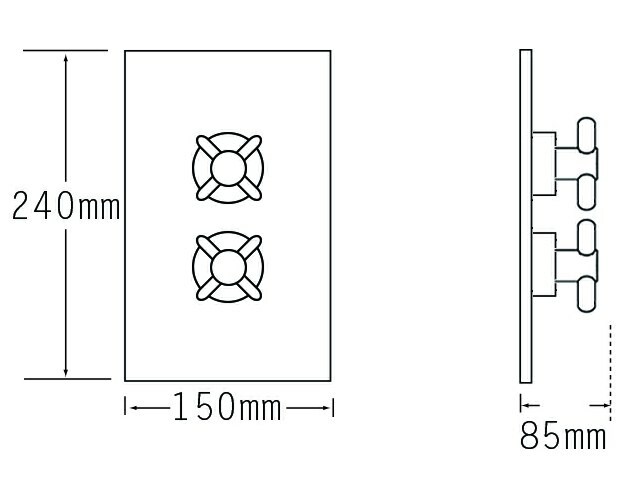 The shower valve is thermostatically controlled so that you can shower at your preferred water temperature and requires minimum 0.5 bar or above water pressure system.